Warnings of an immanent apocalypse have been an aspect of Judeo-Christian belief since the Old Testament. Given the failure of this finale to materialize, [Mayan calendar included] it is still surprising that a high number of people [more than one in seven by some accounts] persist in the idea that the “end of days” will happen within their lifetime. This eschatological speculation is frequently linked to further belief in a manifest divine will. Given the somewhat higher number of people [in the United States] who accept an unreconstructed creationist account the origin of life [46%] the idea of divine predetermination in the movement of history runs closely with this millenarian view of life. As broad-gatherers on the network, every shade of belief constructs its own trans-narratives through communities of interest. As much as the internet allows for grassroots organization and sharing of information, it is also utterly agnostic as to substance of what is being shared. At a bulletin board called “Rapture Ready” – where prophetic scripture is a starting point for all manner of catastrophic speculation, world events are the subject of relentless and always fatalistic interpretation. Of the several dozen forum threads on offer, Apostasy and Prophecy and End Times are read over three times as much as any other area. I look for it to happen any day. Soon. Even my children, ages 15 & 17 know that the day is fast approaching. They are in school and making plans for their future but at the same time, they will make comments that they honestly don’t look to have families of their own here on earth. I’m just ready. I have never been so ready in my life. I’m tired. I want to go home. This world is out of control and it sickens me. This post from Prophecy and End Times is typical of the “rapture readiness” on display. Typical – in that it offers little more than the disaffection of the writer’s own sense of the world, linked indirectly to a global malfeasance communicated from afar by the mass media. Given the recent brouhaha about Christian radio host Harold Camping‘s unfulfilled prediction of the rapture in May 2011 [and his follower’s en-masse renunciation of their worldly possessions], it’s probably good that Nate and Kaylie [mentioned above] are keeping school as an option just in case of another delay of rapture. The overwhelming millenarian impulse in the United States seems to be a profound cultural denial of collective possibility – and it is frequently linked to a distaste for society at large. 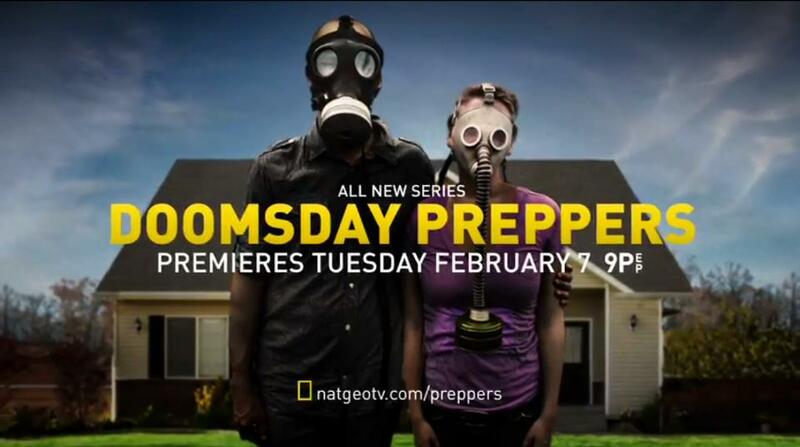 National Geographic – once a beacon of natural history offerings has hit the ratings jackpot with the dystopian Doomsday Preppers, in which an endless multitude of paranoid sociophobes reveal their heavily armed plans to cope with the immanent collapse of civil society. Each of these canned food, “bug out” ready holidays in hell is propelled by a different vision of impending cataclysm. Financial collapse, dust storms, global contagion – there are as many triggers for society’s coming demise as there are plans for survival. 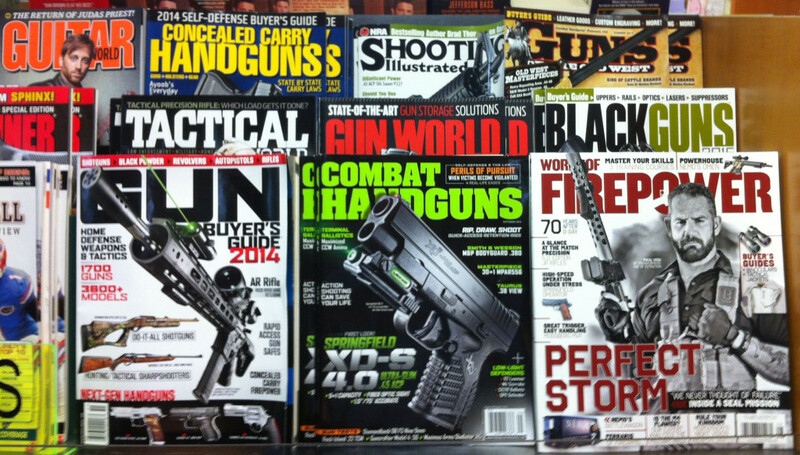 It is hardly surprising in this climate of social paranoia that an entire section of the magazine rack at the local supermarket is devoted to the self arming citizenry. After all – what surpasses the pure fetish value of a weapon is combining it with an amplifying adjective – “combat” – “tactical” – “concealed carry”. The relentless militarization of the isolated [and self reliant!] everyman is couched in terms of individual emancipation. “Home defense” – the use of deadly force to prevent someone stealing your $600 TV – is an entire publishing category that makes our personal apocalypse a hair trigger event, hidden but surrounding us, not as members of a civil society, but as potential combatants in this World of Firepower. This persistent social paranoia creates a population that is perpetually turned away from any sense of collective interest or shared narrative. It thrives on the disavowal of social stewardship. After all – who can you trust? – and it’s all going to end anyway. is probably a better bet. Unless you meet that guy from the cover of World of Firepower. Then for sure it’s a bang – he’s not fooling around.